Combine the collecting of plants with the Gardening Skill. Without it you will not complete the collection of course. There are more ways to collect Flowers, Herbs, Fruits and Vegetables in The Sims 4. You can obtain them by searching, grafting or simply buy them. Some plants are very rare and it will take a lot of time to get them. You can find plants all over the neighborhoods in The Sims 4. You will have to look in every different neighborhood like Willow Creek and Oasis Springs to get every plant you can obtain by searching. There are also Public Garden to search in. You will find most of the plants there. To purchase Starter seed packets you need a planter box or a computer. There are 4 different Starter Seed packets available. When your Sims reach level 7 in the Gardening Skill they can start grafting plants. All you do is take a cutting from one plant and graft it with another plant. You can create new plants this way. You can find every combination of grafting in the table below. Characterized by that distinctive snap-hiss, bites from an apple are likely to have Sims feeling full and refreshed. Common §3 'Starter Fruits' seed packet. Once known for its ability to ease pain from a scorpion-sting, this leafy herb now decorates elaborate meals. Common §1 'Starter Herbs' seed packet. A cluster of small blue blossoms. Common §4 'Starter Flowers' seed packet. A sweet orange tuber. Common §2 'Starter Vegetables' seed packet. A beautiful flower that can be grown in the garden. Common §4 'Starter Flowers' seed packet. A common bright flower of yellow and white. Common §1 'Starter Flowers' seed packet. Sims love popping these in their mouth like crisp, juice chocolates. Common §7 'Starter Fruits' seed packet. A sour citrus fruit. Common §3 Found at end of road by the Museum in Oasis Springs. An earthy, edible fungus. Common §1 'Starter Vegetables' seed packet. A delicate, minty herb leaf. Common §2 Graft Sage with Basil. 'Starter Herbs' seed packet. A starchy, Banana-like fruit. Best cooked before eating! Common §2 Graft Pear with Lemon. 'Starter Fruits' seed packet. A musky, purple herb leaf. Common §2 Found at end of road by the Museum in Oasis Springs. A collection of small, vivid blossoms. Common §4 Public Garden in Willow Creek. A vitamin-rich dark green vegetable leaf. Common §1 'Starter Vegetables' seed packet. A pair of small, red fruit with pits. Uncommon §3 Behind the Affluista Mansion in Oasis Springs and found in Sylvan Glades. A large, vibrant blossom. Uncommon §4 Willow Creek Park. A fragrant and tangy root vegetable. Uncommon §3 Rendle Rose lot in Willow Creek. A crisp and fleshy fruit with a distinctive bell shape. Uncommon §3 Willow Creek Park or behind the Umbridge Manor lot. A starchy, delicious underground tuber. The humble potato is often misidentified as a root. Uncommon §2 Public Garden in Willow Creek. A blossom of beautiful color and lovely aroma. Uncommon §4 Public Garden in Willow Creek. A small, sweet fruit with a red seed covered skin. Uncommon §2 Garden Essence Home in Willow Creek. A juicy, red-skinned fruit often mistaken for a vegetable. Uncommon §3 Up the road from Slipshod Mesquite in Oasis Springs. A plump bloom that grows even after picking, with delicately pointed petals around a cluster of stigma. Uncommon §4 Behind the Landgraab Mansion in Oasis Springs. A flame-tipped flower, known for its avian characteristics. They might take flight during winter months. Rare §4 Graft Tulip with Chrysanthemum. An aggregate fruit, known for its tangy bite and smooth aftertaste. Great for pies! Rare §11 Near dirt path next to Oasis Springs Park. A small cluster of fragrant, green berries that can grow bonsai shrubs. Rare §4 Graft Daisy and Strawberry. A plantable, strangely bovine fruit. Rare §20 Read the Cowplant Guide. A spooky, yet elegant blossom. Roses just don’t cut it for the Grim Reaper. Try this flower to calm his qualms and get out of a deadly situation. Rare §1 Graft Orchid with Pomegranate. An exotic, vibrant-colored fruit. Rare §16 Graft Strawberry with Snapdragon. A colorful, exotic blossom. Rare §5 Graft Lily with Snapdragon. Or after completing the Space Rocks Collection. A rare red-skinned fruit with tart, edible seeds. Rare §4 Graft Apple with Cherry. Also found when fishing. A foul smelling blossom inexplicably composed entirely of refuse. Rare §1 Leave a pile of trash outside on the ground for 24 hours. Strange space fruit. Rare §24 Explore Space with Rocketship. This Gardening Plant collection is only available in The Sims 4 Outdoor Retreat. You can use the Herbs from The Sims 4 Outdoor Retreat to create potions with the Herbalism Skill. The herbs will show up as unidentified wild plants in Granite Falls. This Gardening collection is only available with The Sims 4 Get to Work and can be found in the Alien World Sixam. Plants and Trees can be used to create inventions or serums in the Scientist career. Have any of you not had the newest three plants from Get to Work show up in your Collections section in inventory? The three of them aren’t showing up for me. I think I have. I have all the above fruit and vegetables,but there is one fruit or vegetable that shows that missing under my collection for gardening. I have not found it and it is not on the above list. I have looked everywhere and I have no idea where this fruit is or what expansion pack it is from. It is under the first column forth down it looks like it is a circle shaped fruit or vegetable and it is uncommon. If any of you know where I can find this or what it is I would appreciate the help. The plant is a Tomato. Why don’t the four flowers show up on the collection guide in the game for the “Get to Work” expansion? I’ve found all types of the plant. The only two plants that i cannot plant them are Glow Orb and Fang Flower. How to do? Please help me….. Does anyone know where to find tulips in Windenburg? I’ve looked everywhere! I grafted my cherry and apple trees to get pomegranates to plant. Each time I try to plant a pomegranate it vanishes. It is frustrating me. I only need to graft the pomegranate and orchid to get the death flower. I am only waiting on the pomegranate to be able to get them. Making ambrosia is a drawn out process, so this hiccup is irritating. I only recently started, but do any of you know if Gunther Goth shows up as a ghost in Sims 4? I want to feed him ambrosia then age him back to adult so my Some can marry him. After Cornelia’s untimely death in Sims 3 he was married to my sim. I want to recreate that as authentically as possible without having to just custom make him. Anyone know how to make or where to find a blue berry? When I go to Oasis springs and find lemon trees and a few other plants, it allows me to “view” the plant but not to harvest them or otherwise interact with them. I’ve got level 10 gardening skill and a green thumb. Any ideas? unfortunately, you just have to wait. at the point in time when you can only “view” plants, they are too young to produce anything (either cutting or fruit). hang around in that area for a while (a few sim hours) and it should grow enough for you to take a cutting so you can graft it to something at home and let the fruit grow there. or you can wait around in the area of the plant even longer (i’m not sure exactly how long) and the plant will eventually grow fruit that you can harvest. 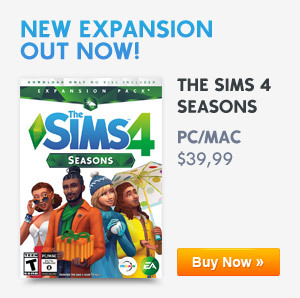 With the new update for Seasons The Sims team shifted things around. We’re writing a new guide for gardening right now but it will take some time. Sage is also included in the Starter Herbs and Grapes are also included in the Starter Fruits. Also obtained Bell Pepper and Green Pea from Starter Vegetables.